As an early adopter and enthusiastic proponent of GooglePlus, I continue to be surprised at the great resistance by brands and agencies to using this feature-rich new platform. Often, it is compared to Facebook, as in the recent post by HootSuite. As I help agencies and brands develop GooglePlus strategies, teach them how to use its many features, and answer questions in GooglePlus Helpouts, I gain greater appreciation for G+ every day. While Facebook is predominantly a place to follow friends and post photos of cats, GooglePlus has more serious business capabilities. 1. The misunderstanding of Google Plus by so many people comes from thinking of it as a social network. It is, in fact, a new platform that is creating the biggest change in online communication since interactive websites. There is indeed a learning curve with GooglePlus, but it will be worth the time you take to learn because of the richness of the features it provides. 2. Unlike Facebook and Twitter, which are stand-alone platforms, GooglePlus is integrated into every Google service, including gMail, YouTube, Google Drive, AdWords, Blogger, and, perhaps most importantly, Google Search. Hangouts on Air – video conferencing – a remarkable – no cost – video events that an unlimited number of people can join. 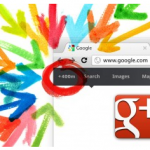 The feature is unique to GooglePlus and it quite simply antiquates platforms like GoToMeeting. 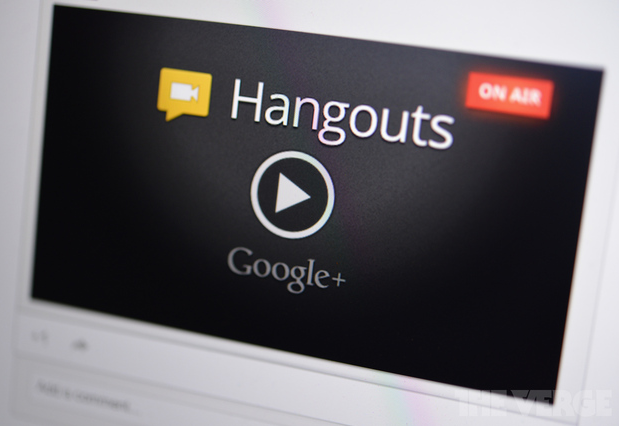 You can start a Hangout from your gMail account or your GooglePlus page. You can broadcast your Hangout in real time and save it to your YouTube channel. All free. My colleagues, Albert Maruggi and Dave Erickson, do a half-hour weekly Hangout on Air for our Beyond Social Media Show. We broadcast live from our respective home offices in three different cities and our videos are automatically added to our YouTube Channel, where we can edit, search optimize and brand them. Circles – Google+ circles make sharing content fast, easy and precise. According to Searchmetrics sharing on Google+ is poised to surpass sharing on Facebook by 2016. When you make updates “Public”, by not choosing to share them with a particular circle, all of your followers can see them. 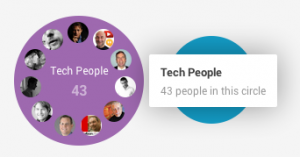 Google+ users also can share circles with each other, and you can choose to follow circles that other Plusers have created. This is a great way to tap into a circle of experts and join the conversation. I think Google Plus made a fatal mistake in its first few weeks/months when they announced their real name policy. People wouldn’t mind having their YouTube comments and blogger comments and gmail and everything else all connected together if their real names weren’t visible. Google would have all of the benefit (and more) and avoided a big part of the early-adopter criticism of Google+. Right now Facebook still owns the traditional social networking space and based on the number of businesses listed on http://www.buyfacebooklikesreviews.com for instance, still owns the commercial space. SnapChat has a lot of mindshare, but they’re going to have trouble continuing their growth if security issues are a problem and if monetization proves impossible. The sad part is that Google+ is a much nicer designed social network for long-form conversations and posts than Facebook and Twitter is. The internet needs this, but right now it looks like Reddit is going to be that network. Google had the chance to differentiate from Facebook and blew it. Miles – I agree that Google could have handled a lot of things better, but that doesn’t detract from the appeal of the G+ platform when you really learn its offering. The people who are criticizing GooglePlus are the same category as the ones who said in 1995 “I’ll never use a credit card on the Internet! It’s not safe.” and in 2000 “Blogs! What a waste of time” and in 2006 “Twitter! Who cares what someone ate for lunch.” And now they are hating GooglePlus, often without using it. The caveat – it’s got a steep learning curve and you really do need a coach to show you how it all works. I’m doing that with associations, agencies and brands, and when they see what GooglePlus offers – free of charge – they are very enthusiastically getting involved. Look at the Google+ pages and communities of Cadbury, Toyota, H&M, World Wildlife Foundation, and this list of the top 100 brands on Google+. http://www.socialbakers.com/all-social-media-stats/googleplus/ They have large, egnaged followings who are there by choice. If it’s advertising you want – and you can’t make me believe that Facebook advertising is effective – then take a look at the experimentaion by Toyota and Cadbury and +Post ads. 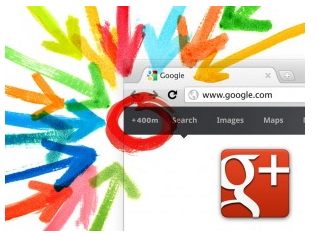 GooglePlus is not a Facebook competitor, not a Twitter competitor. It is a sea change in online communications and you will do your clients a dis-service if you don’t get in and learn how it works. I’ve tested every social platform in the past 20 years, and, hands down, GooglePlus is the most robust, interesting and rewarding.